Scientists delved into the blood pressure histories of adolescents to determine what causes high blood pressure -- and they were stunned at the results. Think that salt is what matters when it comes to blood pressure? A new study has found that it may be potassium you should be worrying about. Eating up to 3,000 mg per day of salt didn’t appear to harm the blood pressure readings for adolescent girls in the study, but those who consumed 2,400 mg per day of potassium showed lower blood pressure by the time they reached adulthood, according to a Times of India report. Salt has historically been the X factor when it comes blood pressure, with scientists believing that excess salt in our diets is why many in the United States have such high readings. In fact, the Dietary Guidelines for Americans stipulates limiting sodium intake to less than 2,300 mg per day for healthy individuals less than 50 years old. But researchers haven’t really delved deep into the relationship between sodium and blood pressure in children, until now. Scientists at the Boston University School of Medicine examined this relationship, and found that higher sodium intake really didn’t cause a noticeable rise in blood pressure, and in fact some who consumed 3,500 mg per day had lower blood pressure than those who consumed 2,500 daily. But scientists did find that girls who were in the highest category of intake of potassium, at least 2,400 mg per day, had lower blood pressure than those who consumed less. Those who consumed both the most sodium and potassium also consumed the most calories, as well as the most fruits, veggies, fiber, and dairy, the study found. What does it all mean? 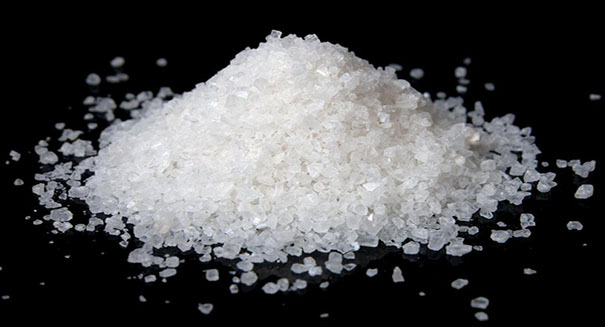 It emphasizes that there is a need to develop methods for determine what the salt sensitivity is for high-risk populations, and the future studies should examine the effects of potassium on blood pressure in more detail. The findings were published in the journal JAMA Pediatrics.